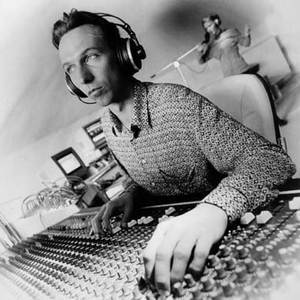 Roland Voss, aka Lemongrass, moved through several musical phases before hitting his stride as a drum'n'bass/downtempo producer in the late '90s. The German-born Voss began taking drum lessons in 1974, and played with a variety of funk and (mostly) jazz ensembles over the rest of the decade. When the '80s arrived, Voss became interested in new wave, and from there began experimenting with electronic means of sound production. During the second half of the '80s, Voss founded a number of projects -- mostly dance groups, but also a punk band called Klappstuhl -- and landed in a Berlin band called New Nations, where he began working in earnest with electronic instruments and sampling techniques. Voss eventually released his first album, 1993's breakbeat-oriented Wuwei, under the alias Succa V, and soon began working with drummer Torsten K?tter as Jungle-Moon; their first release in 1994 marked Voss' first full-fledged venture into jungle. Voss spent the mid-'90s working on large-scale multimedia projects with a variety of other artists. He made his debut as Lemongrass in 1997 with a drum'n'bass cover of Gershwin's "Summertime," which appeared on the small German label Incoming's Submerged compilation. The first Lemongrass full-length, Dramatic Universe, followed in 1998, and found Voss mixing his early jazz influences into a variety of jungle and haunting trip-hop productions. The album's reception -- particularly warm in France -- landed Voss a deal with Mole Listening Pearls, and his label debut, Lumi?re Obscure, was issued soon after in 1999. The single "Comme Toujours" became something of a club hit, and Voss followed it up with 2000's otherworldly Voyage au Centre de la Terre. Continuing his fast-paced release schedule, the fourth Lemongrass album, Windows, was released in early 2001 and re-released two years later by Water Music.